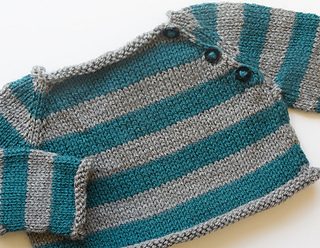 This beautiful stripes baby pullover pattern from 3-24 months is free until the end of the month to celebrate the release of Sarah Cooke’s e-book Six Baby Sweaters, no coupon code needed, just add to cart and it will be auto-deducted. Stripes Pullover pattern by Sarah CookeThis simple baby pullover is knit seamlessly from the top down with raglan increases for the sleeves. Stitches are set aside for the sleeves and the body is worked in one piece to the rolled hem. Sleeve stitches are placed onto dpns and knit in the round. This cute ribbed cap pattern is generously free until Autumn, so plenty of time to make this one! Ribbed Cap pattern by Isabelle DemarchaisThis classic seamless ribbed cap is worked from the top down. Cast on 8 sts and increase every second rnd 8 sts until the width of the cap is big enough to cover the crown of the head, stop increasing and work the cap like a tube. Deborah Tomasello does it again! Another lovely pattern free through May, with coupon code “tunic”. Solange: Classic All-Season Tunic pattern by Deborah TomaselloThis tunic is the easiest you will ever knit. And it’s very basic stranded colorwork, for a denser, but oh-so-drapey fabric. This EZ-PZ design is absolutely versatile; the sleeves can be knit any length, ¼, ½, ¾ or full-length. 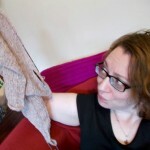 The body is knit in one rectangular piece, and you the knitter can determine the width and length. 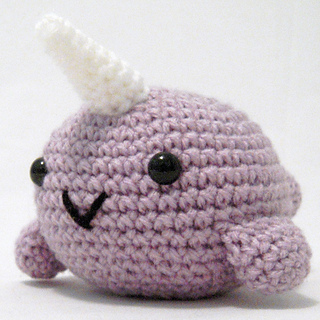 And released this week, possible the most gorgeous crochet narwhal ever,by icrochetthings, free pattern, no code needed.